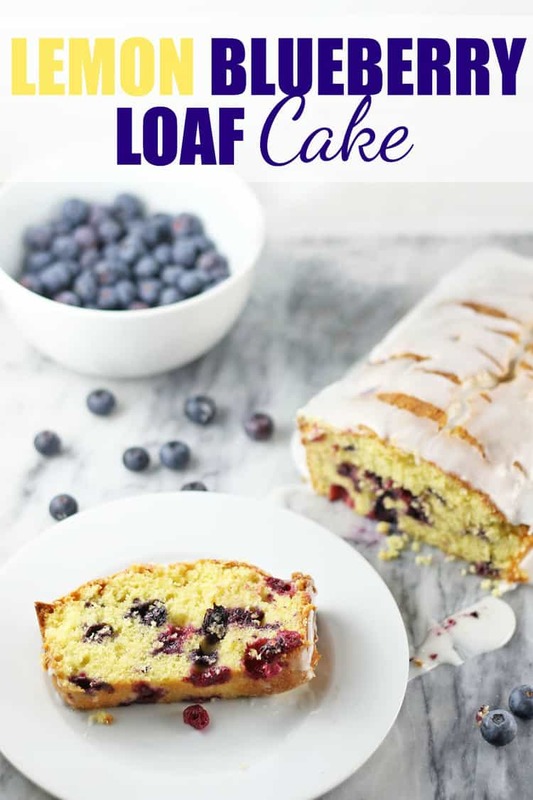 This Lemon Blueberry Loaf Cake is bursting with fresh blueberries, tart lemon and covered in a delicious sweet icing. 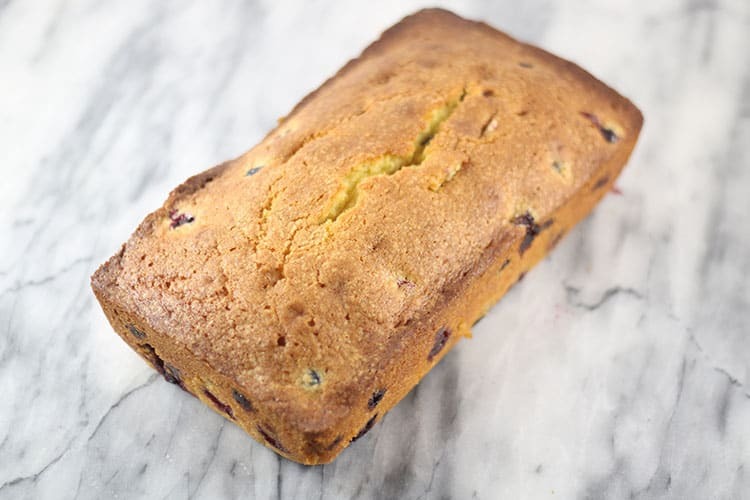 It’s a perfect summer treat, breakfast bread, snack, or dessert… you can just eat it all day long! When we bought this new house back in the winter, we had no idea what we were in for this spring. The whole property has bloomed and blossumed and we’re overwhelmed daily with the beauty at every turn. We’ve been blown away by the display of flowers and bushes and now… even fruit! We have three blueberry bushes and two of them were loaded with blueberries this year. We’ve also found pear trees and fig trees that will be ready to pick soon! When we discovered the bushes and then started picking – we had no idea how many we’d get. At this moment, we have more than 6 gallons in our freezer and only God knows how many gallons my kids have eaten fresh. 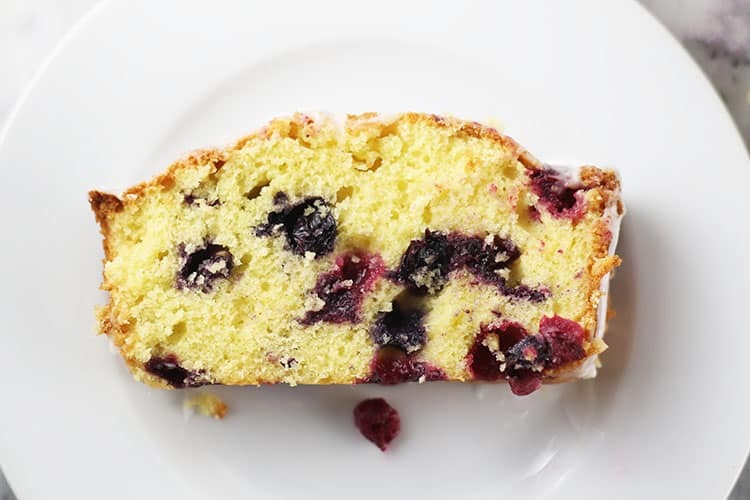 We’ve also made fresh blueberry muffins, fresh blueberry pancakes and now… this amazing Lemon Blueberry Loaf Cake. 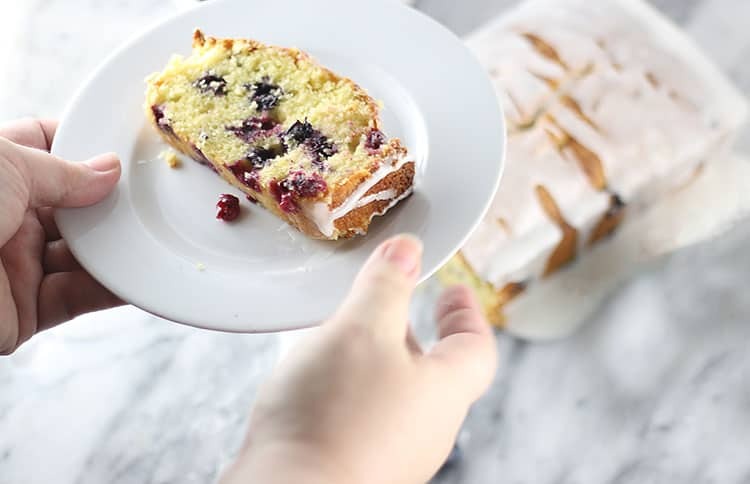 It’s so good – you will no doubt want to lick the bowl from the icing and scrape every last crumb off cake off the plate! 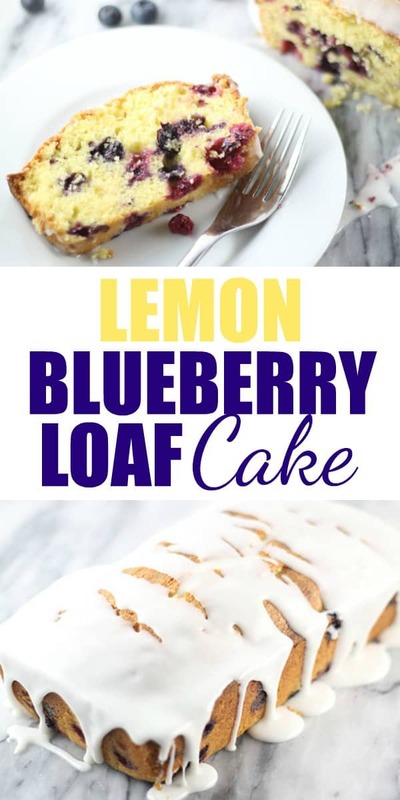 I took some step-by-step pics of this recipe, and the post is going to be long – so let’s get to it (detailed ingredients list in the recipe card at the bottom)! First things first… preheat your oven to 350°F. 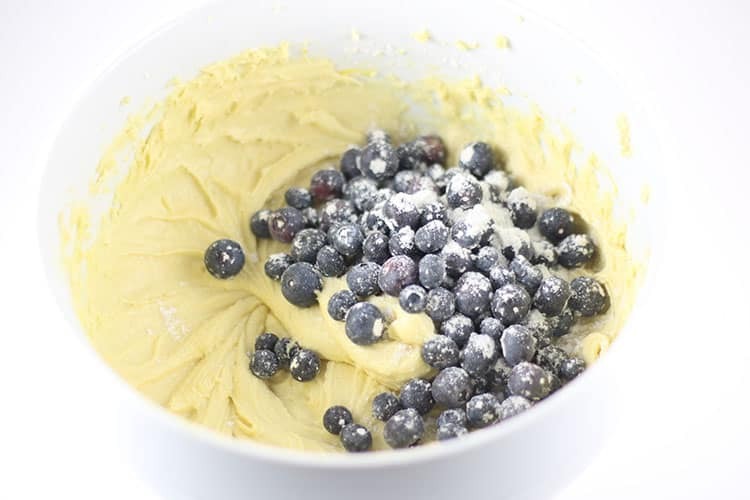 Start by taking a cup of fresh blueberries and tossing them with 1-2 tablespoons of flour. This will help them not all sink to the bottom of your cake. 🙂 Set those aside. 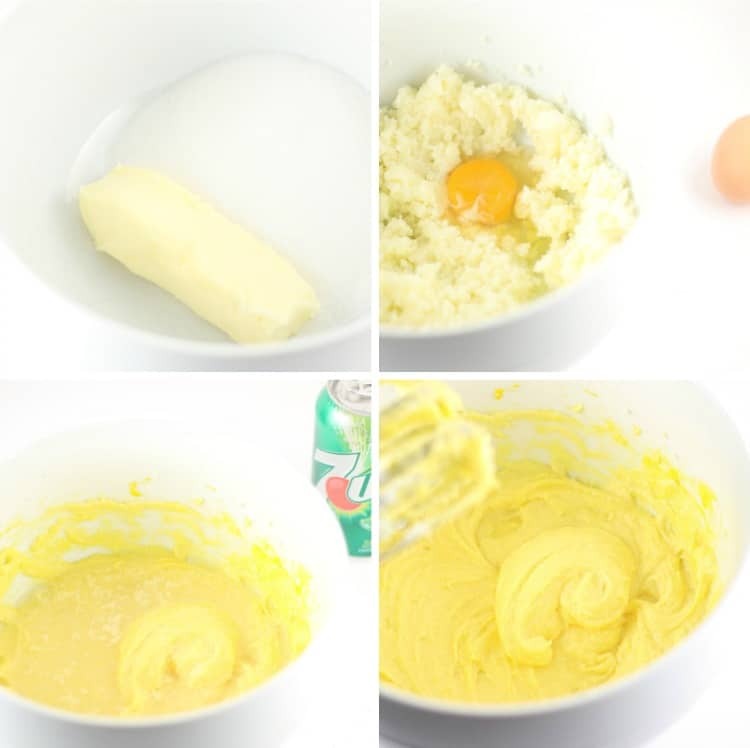 Next you’ll add softened butter, sugar, eggs, lemon juice, and 7UP to a mixing bowl and cream it all together (again, details below). … and mix until very creamy! 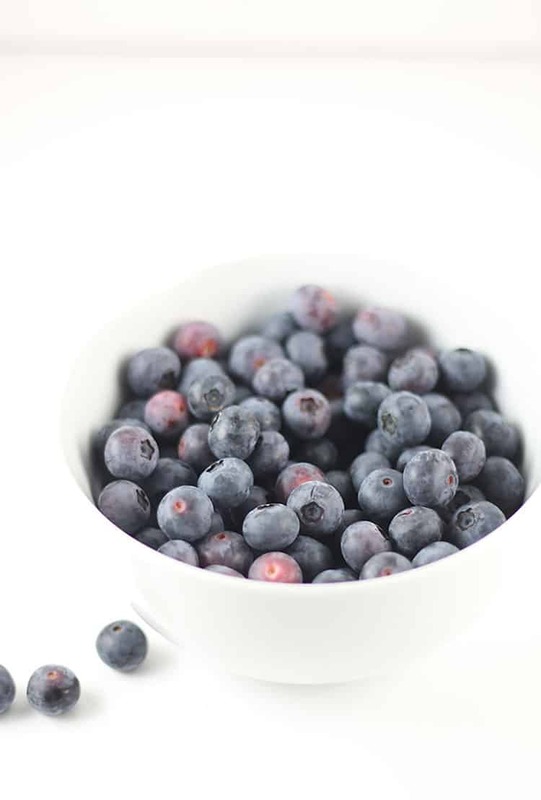 The fresh blueberries are the last thing you’ll add to the bowl. 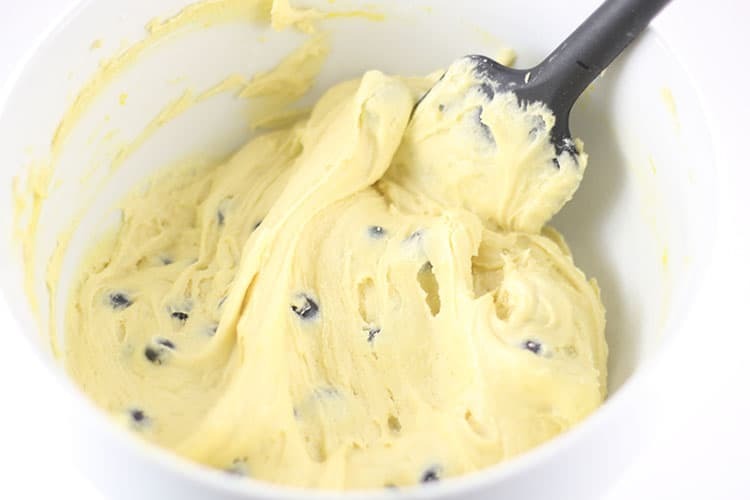 Pour them on top, then gently fold them into the cake batter with a spoon or spatula. Prepare a loaf pan by spraying with Baker’s Joy (or the homemade equivalent here) OR I have a fun hack for you! 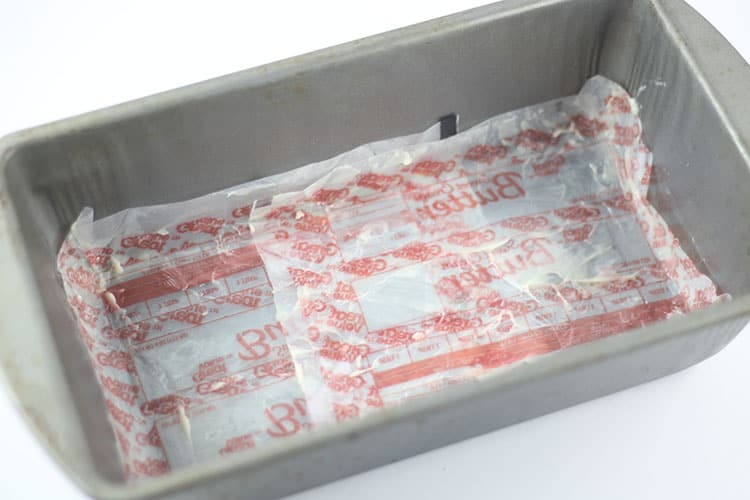 Kitchen hack: use leftover butter wrappers to line your pans! It works SO perfectly!! When your pan is prepared, spoon in the batter and spread it out evenly. Now you’re just going to bake the cake for 60-70 minutes or until a toothpick comes out clean. My oven seems to bake a little hot, so an hour was plenty for me. While it was baking, I made an amazing glaze for the cake. Then while the cake was still warm, I poured the icing over it… ummmm, so delish! We sliced into it and it didn’t take more than 5 minutes flat for my family to devour the whole loaf! 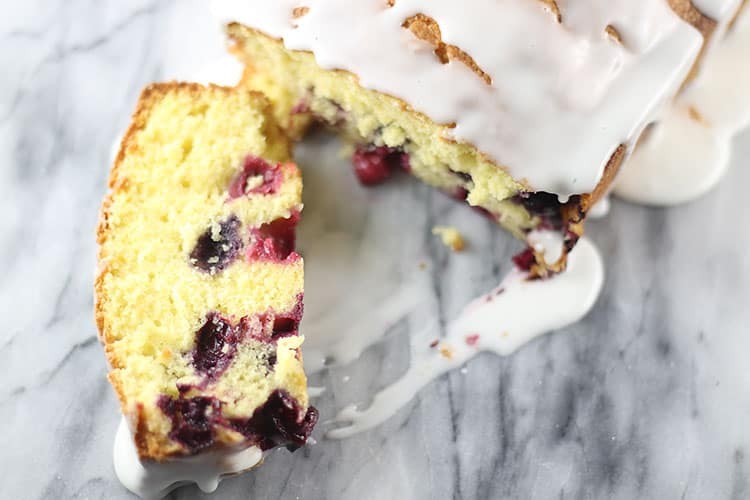 I plan to bake more this week with the last of the blueberries on our bushes and you better believe, I’ll be doubling (or tripling) the recipe this time around! Are you drooling yet? 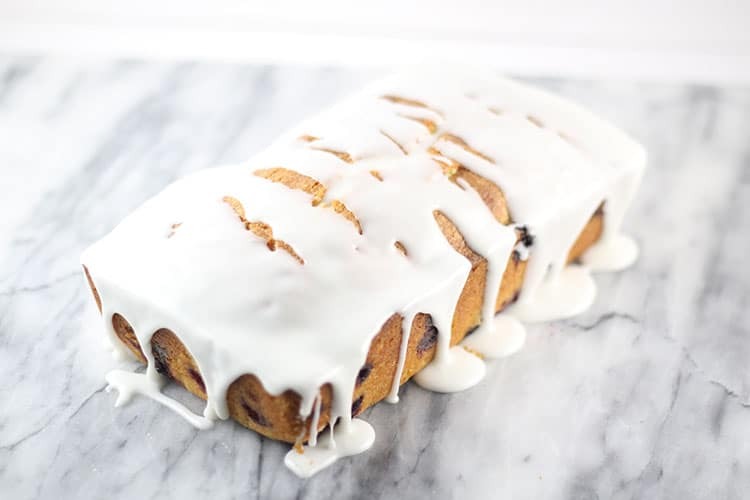 This Lemon Blueberry Loaf Cake is just oh-so-good. Go get yourself some fresh blueberries and make it asap. Alrighty – here’s the printable recipe for you. Please leave any questions in the comments!! 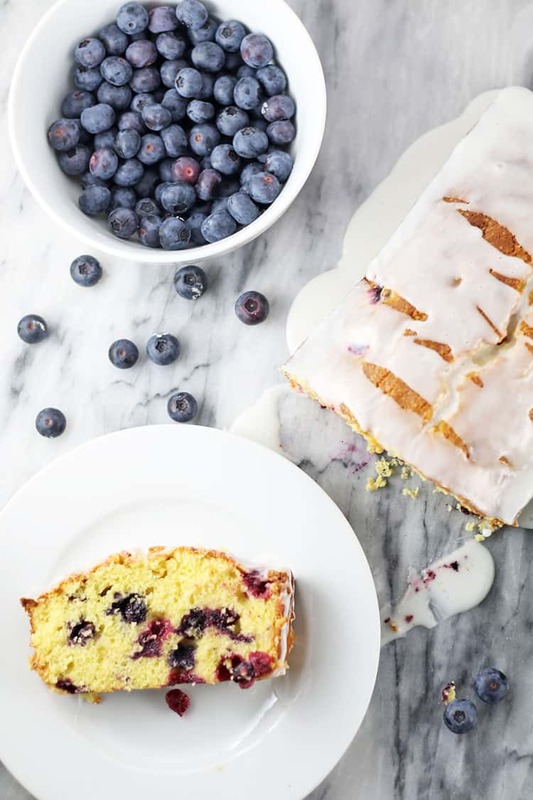 This Lemon Blueberry Loaf Cake is bursting with fresh blueberries, tart lemon and covered in a delicious sweet icing. It’s a perfect summer treat, breakfast bread, snack, or dessert… just eat it all day long! 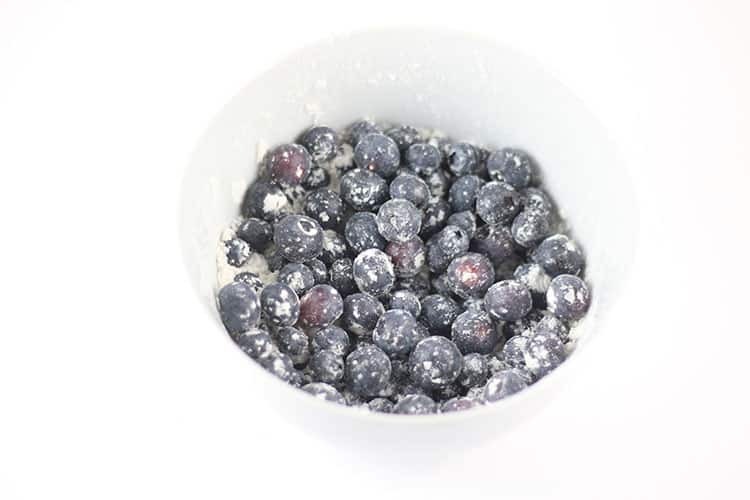 In a small bowl, toss the blueberries with 2 Tbsp all-purpose flour. Set aside. 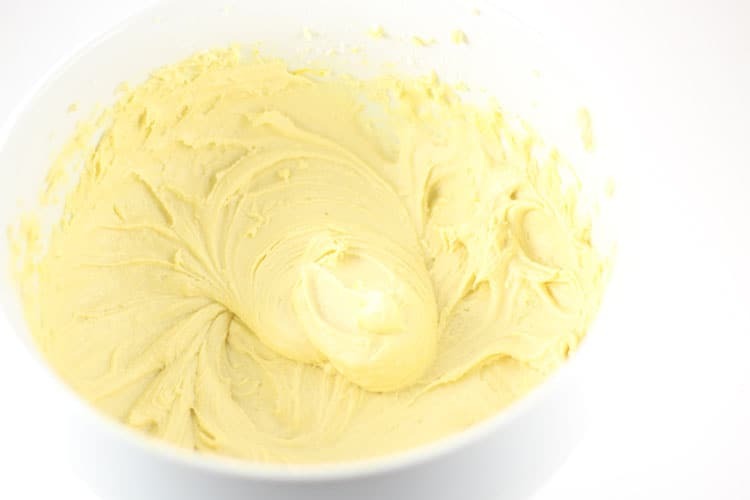 In a medium-large mixing bowl, cream together the softened butter and sugar. Add in the lemon juice and 7UP, then mix well. 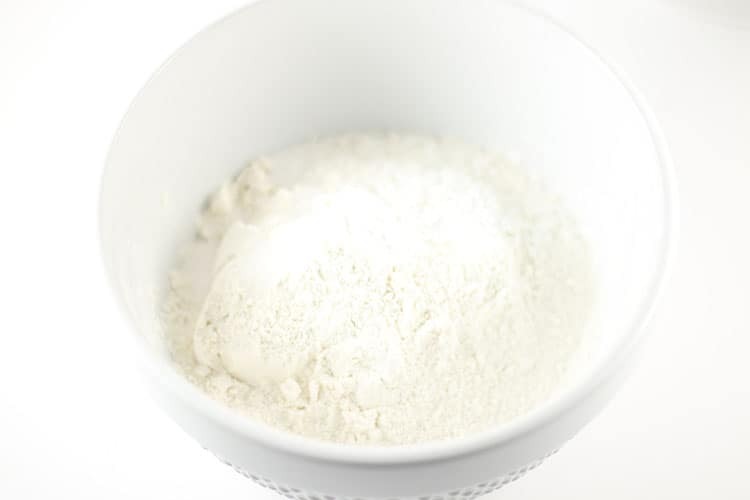 In another bowl, whisk together 1.5 cups flour, baking powder, and salt. Then combine the wet and dry ingredients. Lastly, fold in the blueberries. 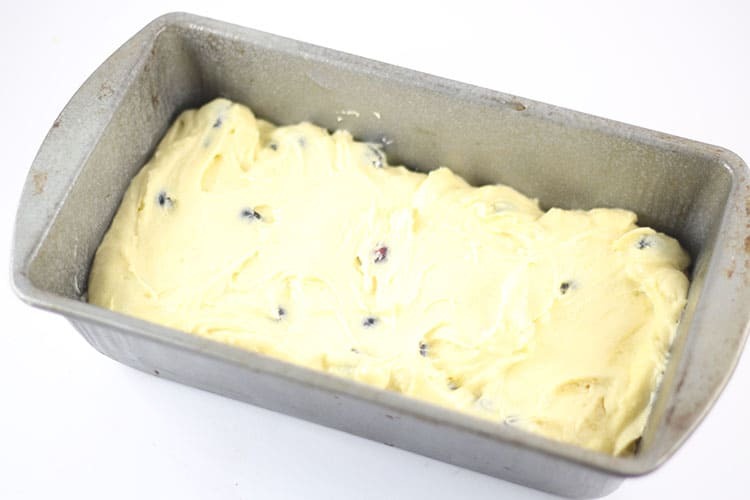 Spread the batter into a prepared 9×4″ loaf pan. Check the post above for one of my easy hacks for prepping a pan! Bake for 60-70 minutes or until a toothpick comes out clean. 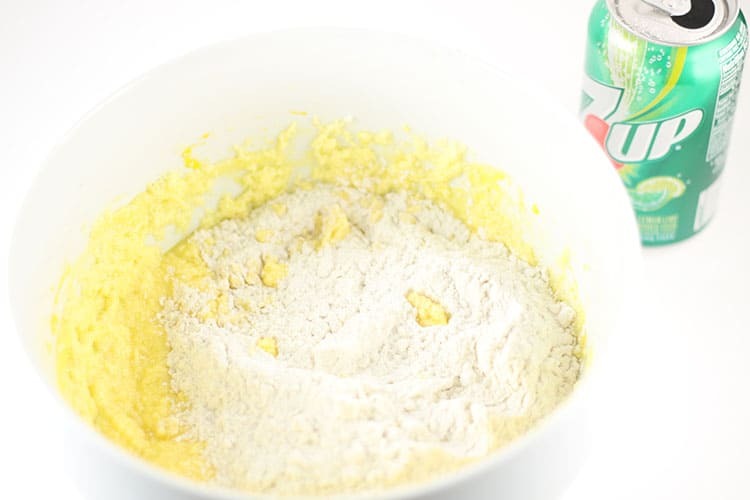 While it’s baking, mix together the powdered sugar, lemon juice and 7up. Pour over the warm cake after it’s done baking. Slice & enjoy! !